Remember when I wrote a while back the reason why I ended up in Bali the first time? Well, I never told you that I stayed in Nusa Dua. That’s because I didn’t realize until two weeks into our Bali trip that our resort is smack in the middle of Nusa Dua. 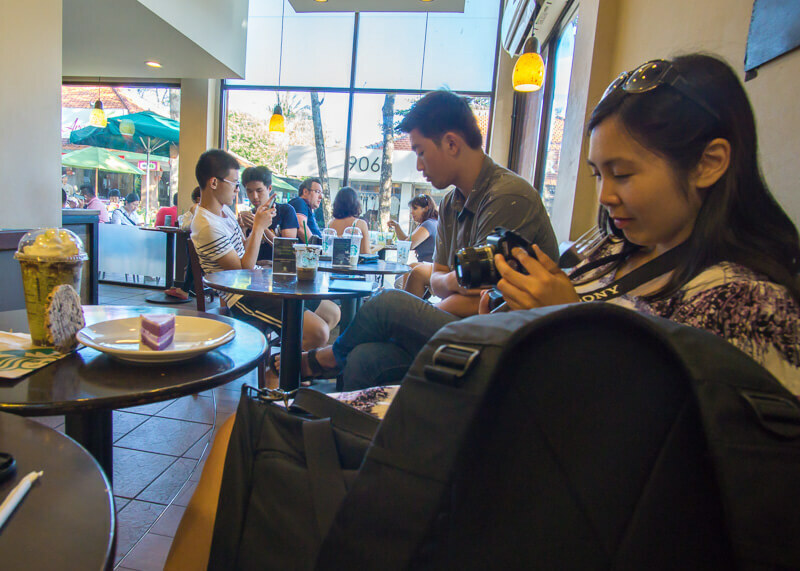 Our stay was indeed rejuvenating, and precisely what we needed before heading to Kuala Lumpur. And the fact that we ended up in Nusa Dua despite not planning to visit this place? Well, let’s just say that these moments are powerful reminders that everything happens for a reason. If you’re new to the website and want to follow my year of travelling, visit this section for all posts related to long-term travel. You can also start from the beginning of the series by reading this article. Here’s a summary about leaving for a year to travel. Look, huge sidewalks where no motorists are taking up our space! Unlike Seminyak where the motorists take over the sidewalks during rush hour! Nusa Dua is very different compared to the rest of the island. 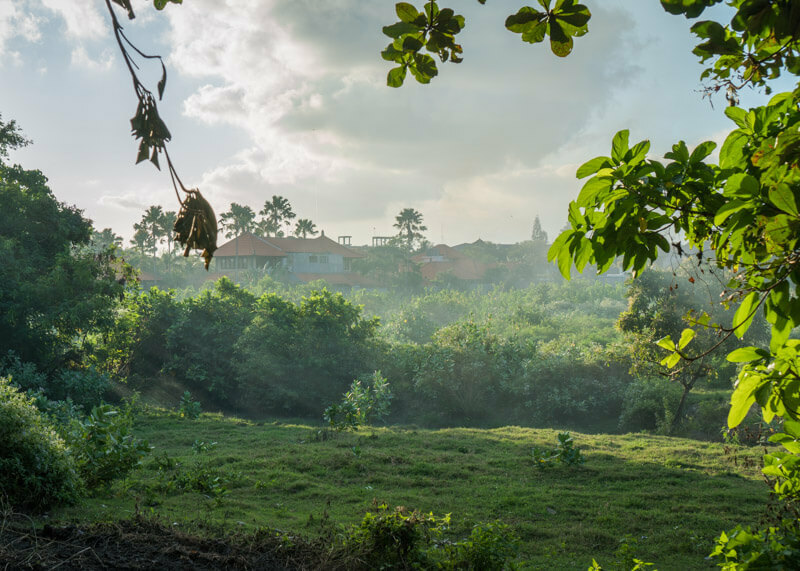 Likely the most developed area in Bali, some call it the artificial part of the island that houses a lot of high-end resorts. 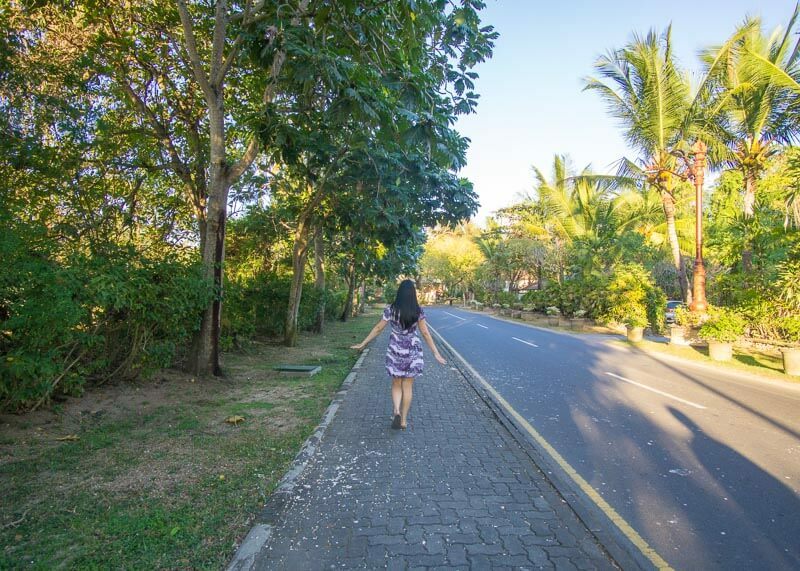 Everything about Nusa Dua is perfect; maintained roads, broad sidewalks and manicured lawns. 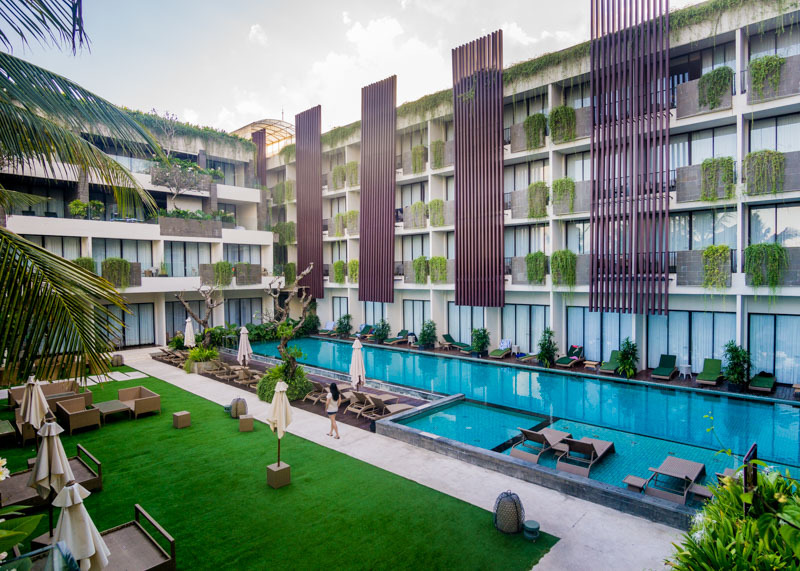 Nusa Dua is indeed ideal for a relaxing holiday and for those who are okay with staying at their resort. We didn’t do much in Nusa Dua. In fact, the highlight of my stay outside of our resort was eating at Starbucks and catching pretty sunsets! 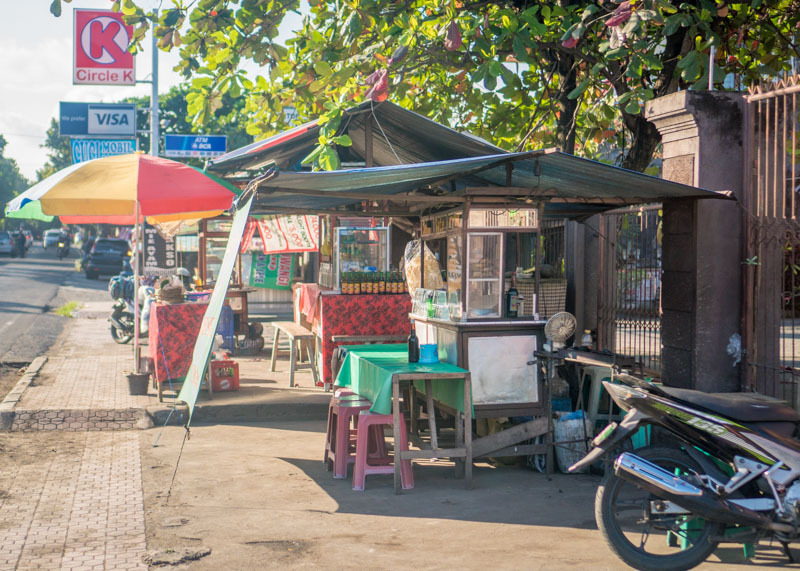 The one thing we struggled with in Nusa Dua is that it is hard to explore the area by foot. I mean, we could walk around on the roads, but the view would not have been very scenic. Hotels dominate this region, and high walls barricade each resort. We were so happy to have a private pool! 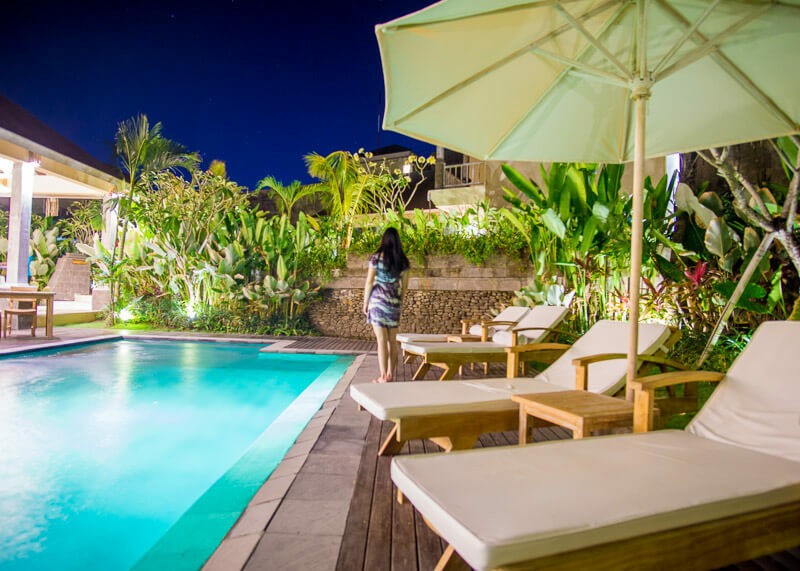 La Berceuse Resort And Villa was the place we ended up staying for the last leg of our Bali trip. Having some downtime after spending a month travelling around Bali and staying in Seminyak, Kuta and Sukawati was very much the perfect way to end our trip in Bali. 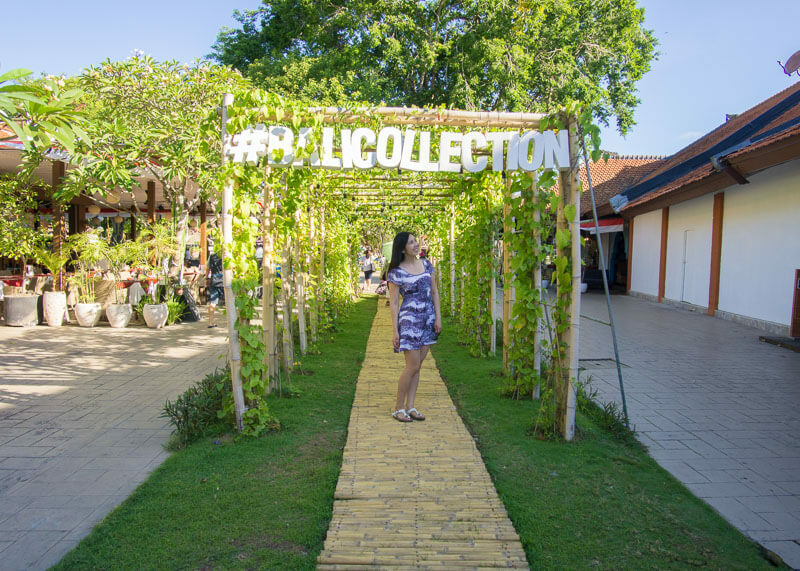 Bali Collection is the shopping complex that everyone goes to in Nusa Dua. We didn’t do much shopping here, but it was fun to act like a tourist and take photos next to signs. 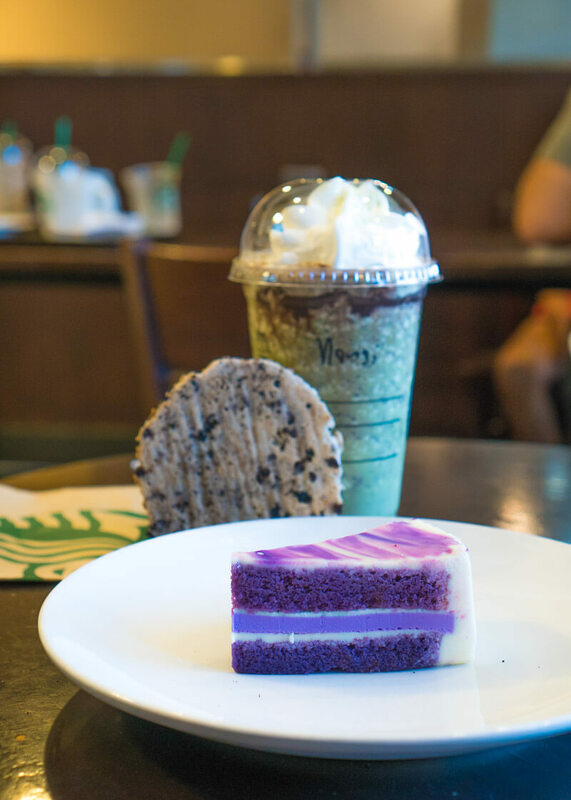 Of course, I stopped by Starbucks to get some yummy drinks. As you may recall, I discovered while in Kuta that EVERYTHING has Ajinomoto (aka MSG) and it was making me sick. So I won’t lie, that is one of the biggest reasons why I needed to pop into Starbucks. I mean, I know for a fact that Starbucks doesn’t put Ajinomoto in their food and it’s clean! So I ate. Plus, they sell drinks and food in flavours that aren’t available in Canada. 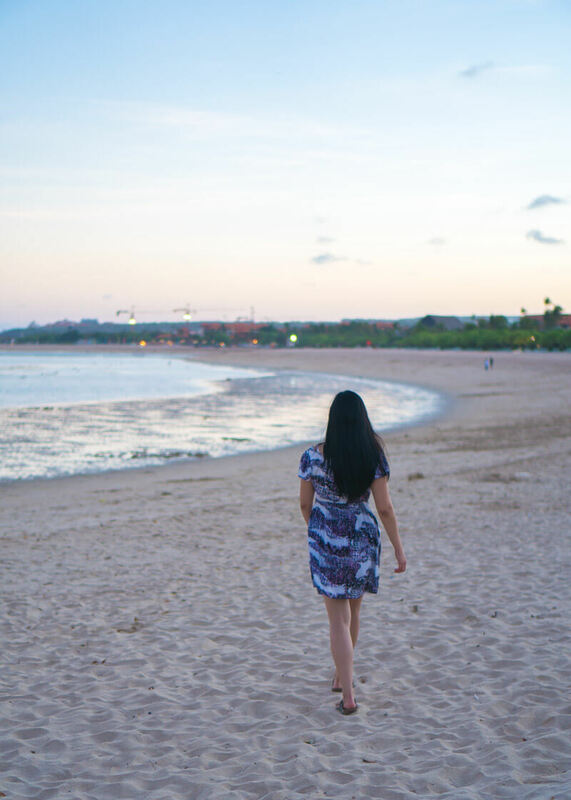 The beaches and the expansive coastline in Nusa Dua are beautiful and uncrowded. 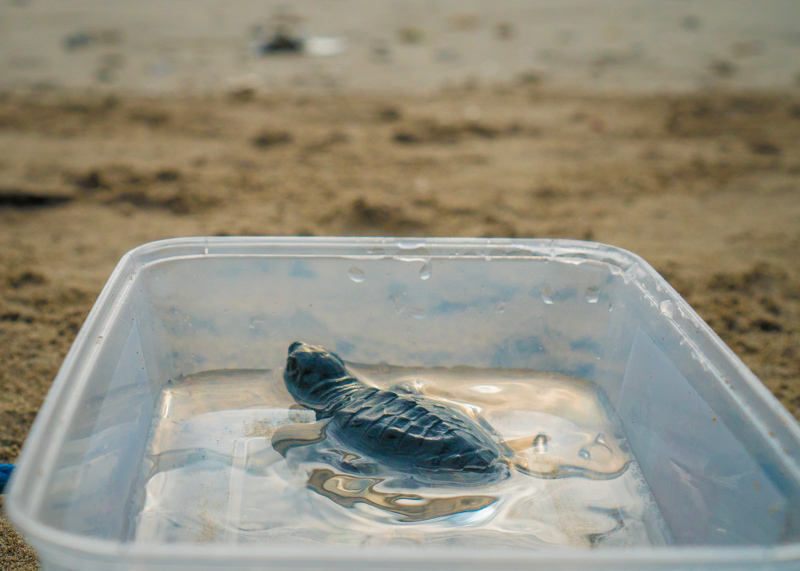 Low tide is an enjoyable time to explore Nusa Dua beaches, especially if you have a keen interest in sea creatures. I was hoping to see sea urchin, big crabs, and starfish but sadly, they were not around. You will sometimes see weird holes in the sand during low tide. If you stand still and wait long enough, eel-like creatures will pop their head out of the sand! Cool, but also creepy. 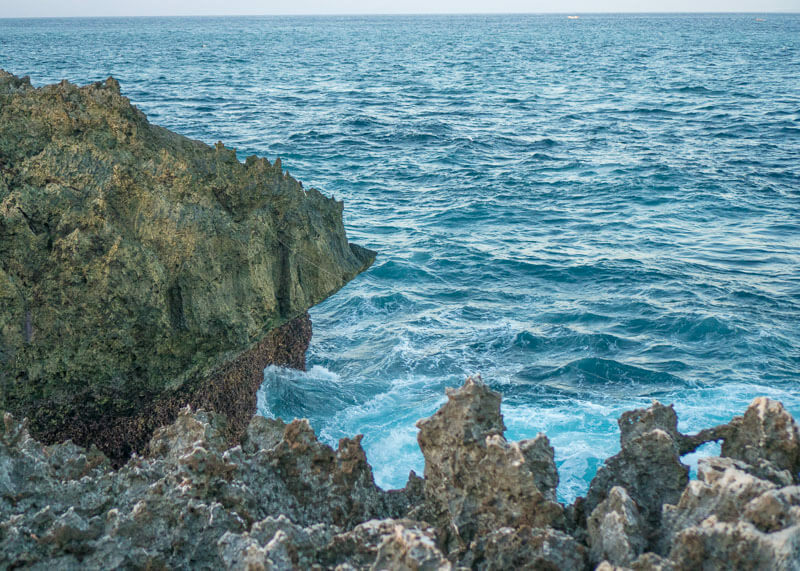 This natural rock formation is famous for the giant waves of water splashing into the rock walls. We visited this place one evening in hopes of watching the water erupt from the sea, but to no avail. We learned later that you could see the water blow during high tide, so that’s something to keep in mind if you want to catch the water blow. 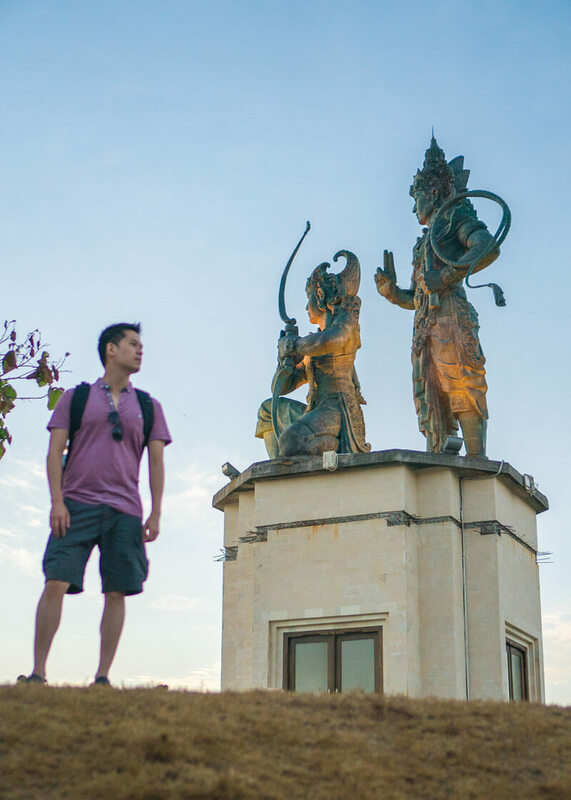 There is a small park on the Nusa Dua Peninsula which you can spot from the large Krishna and Arjuna statues. The park is a quiet place to spend an evening watching the sunset. Many locals were around playing soccer, jogging and doing other random forms of exercise. If you’ve had enough relaxation in your resort, there’s quite a bit to see and do in Nusa Dua. I’m not going to create an exhaustive list here, just the places I wish I visited when I was in Nusa Dua. 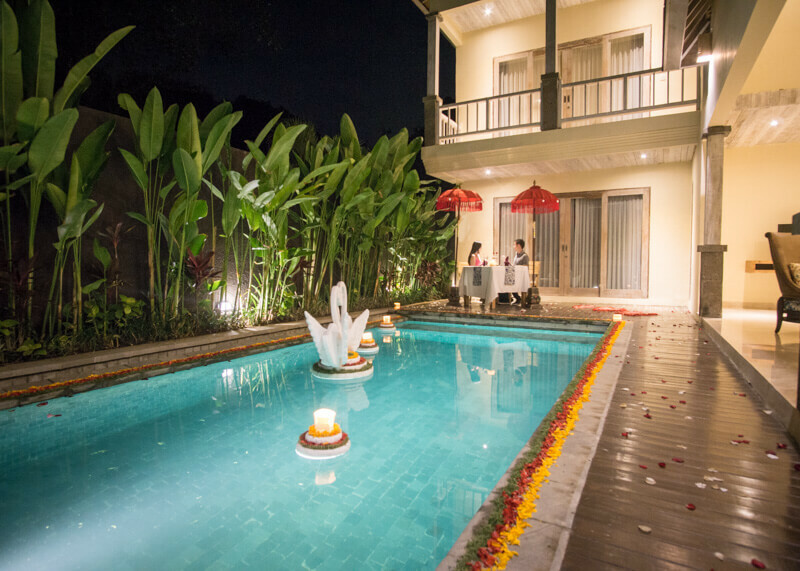 Some of these locations are worth exploring since they are a short drive from Nusa Dua. This old and sacred temple sits on top of a limestone cliff and creates a picturesque atmosphere. 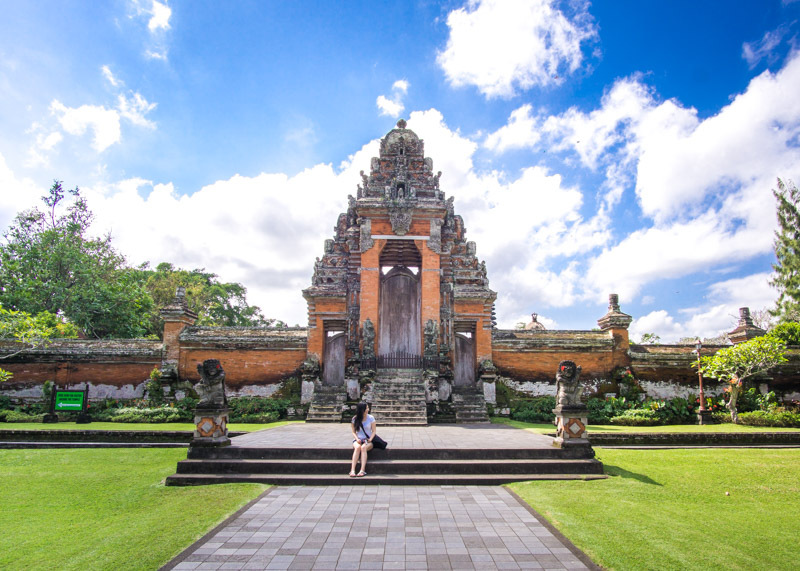 I don’t think it’s as popular as the other temples in the south of Bali too, which means no tourists in your photos! The backstory of this abandoned plane is not entirely clear. Some say the owner wanted to turn it into a tourist destination but ran out of money, while others say it was supposed to be a restaurant. 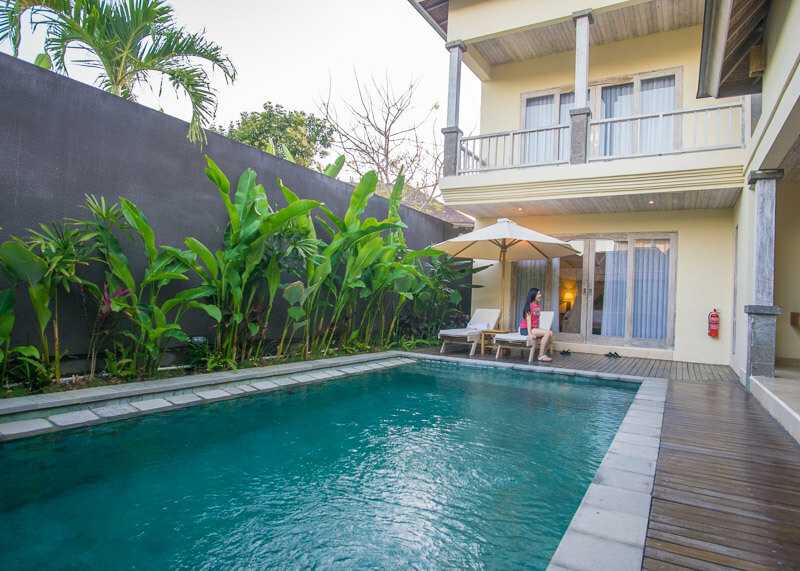 Either way, it’s cool to check out since it is close to Nusa Dua. This temple is on top of a cliff where you can catch beautiful sunsets and watch the Kecak fire dance. Another thing to be mindful of is the aggressive monkeys in the area. We’ve read that they are quite crazy and will steal your belongings if you’re not careful. Perhaps the most crucial part of my stay in Nusa Dua was reflecting on the person I used to be the first time I was here. My dreams, my hopes, my wishes and heartbreaks no longer exist. Despite all the dreams that I was able to turn into a reality, the ones I had during that time never materialized. 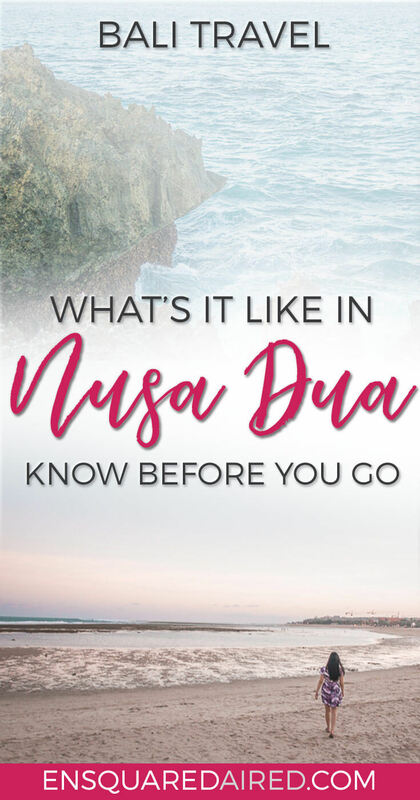 Before Nusa Dua, I couldn’t help but wonder what lesson the universe is trying to teach me with all the “coincidences” and the little signs that I saw during my travels. By the end of our stay, the answer was clear. The universe has a way of teaching me lessons when I need it the most and bringing me back to where I need to be. To stop, and reflect on the person I was, so that I can better understand the person I am, and the person I will be. It took me years to realize that sometimes, you just have to let go of what life took away from you. Because the reality is that what leaves you was necessary to make space for the things that really belong in your life. For me, Nusa Dua was meeting the person I was six years ago and saying goodbye to her for the last time. To relive those cuts that healed over time and see that those cracks in life weren’t so bad after all. Or maybe I am just a little bit wiser. 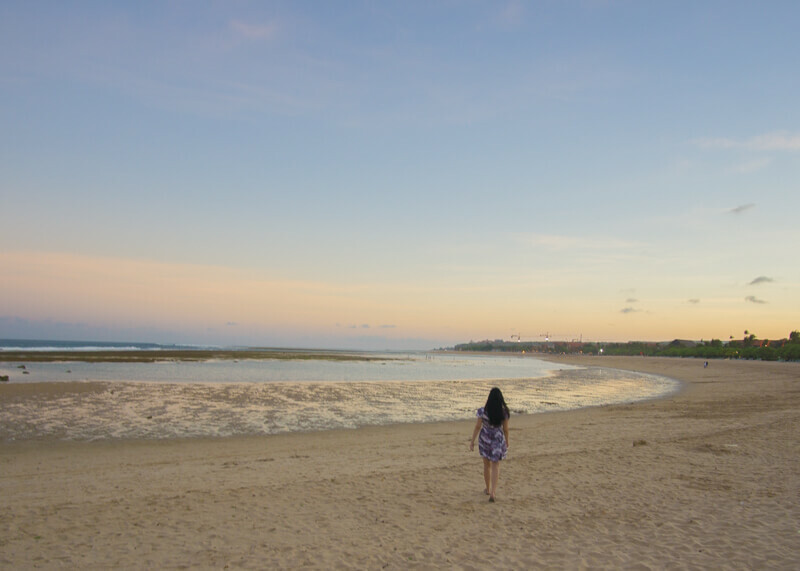 And so there I stood in Nusa Dua, with memories of my former self, standing on the very same beach I stood six years ago. There was nothing left to do but to ask myself… Did I let go? I buried that future behind. Nice read and a pity that you didn’t cross more things off your list of places to visit. I find “sea creatures” amazing to look at in their natural habitat though. 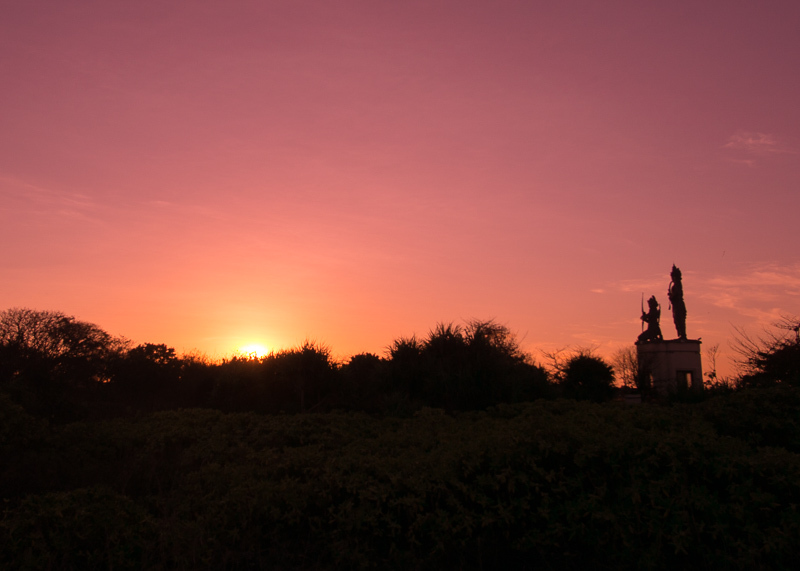 Your pictures are really nice, especially the statue of Krishna and Arjuna at sunset. I’m glad that you were able to get closure. Cheers to always growing! Thank you, Anh Hai 🙂 I wholeheartedly agree with your comments. Sometimes, I look back at the person I was six years ago and I can’t help but think … really… why did those things bother me so much? I guess that’s what happens when one gets older… we gain perspective. I’m not sure why I decided to turn on my computer and click on your website (that I have bookmarked)tonight. 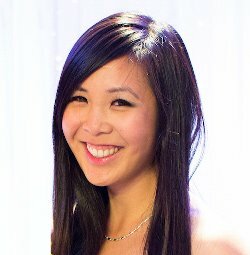 I’m not going to lie, I hadn’t read one of your blogs in a while.. but I said to Tommy, “Let’s see where Nancy is these days!” Anyways, my heart became so full when I read the sentence, ‘For me, Nusa Dua was meeting the person I was six years ago and saying goodbye to her for the last time.’ Although I’m still not 100% sure what happened, and how you felt, I know it wasn’t the best time of your life. I also went through a struggle about 7 years ago now, and I’m still trying to let go. . I’ve began a coaching career and a lot of my past is coming back into my life. I need to be able to let go of the negatives of this and hold on to the positives.. and move forward like you have done. Anyways, I hope this finds you well! I miss you and really would love to catch up soon. I have so much to say to you in response to your comments but I’ll save that for when we are able to catch up in person. It really looks incredible beautiful there! What a beautiful place to relax. 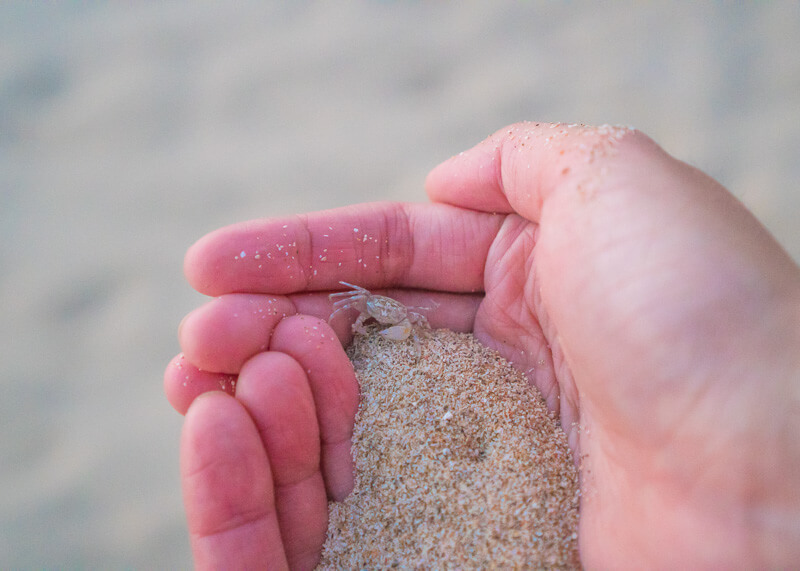 And that tiny crab is so cute!